Fall is in full swing and we are all about it at our house. 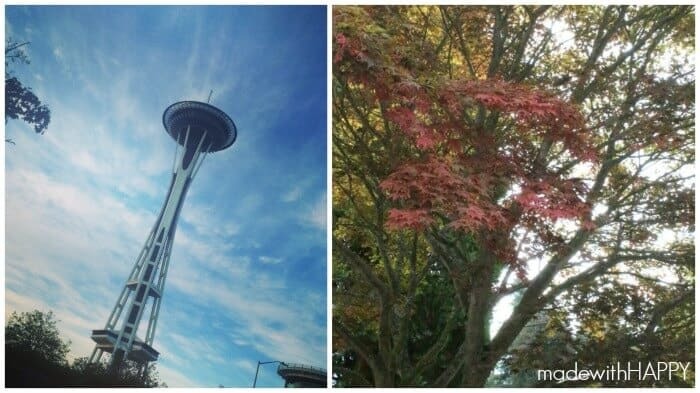 In Southern California have yet to feel the effects of Fall due to extreme heat and drought, but after Made with HAPPY Dad and I’s recent trip to Seattle our love of Autumn is back. While we were there, we were able to breathe in the crisp Autumn air, see all the leaves turning colors, and feel all the Fall feelings we hadn’t had a chance to back home. 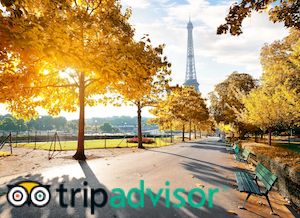 When you think of Fall, what’s one activity you think of doing? Well for us, its apple picking. You head out for the day, fill up your basket and bring home a large amount of apples to where you’re making all kinds of apple filled dishes. Muffins, pies (of course) and cider. 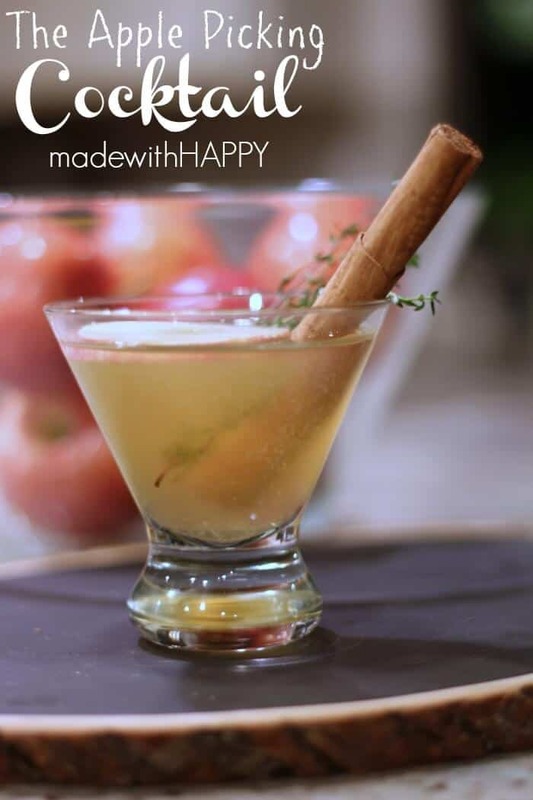 Raise your hand if you’re like me and are a sucker for apple cider? YUMMM. 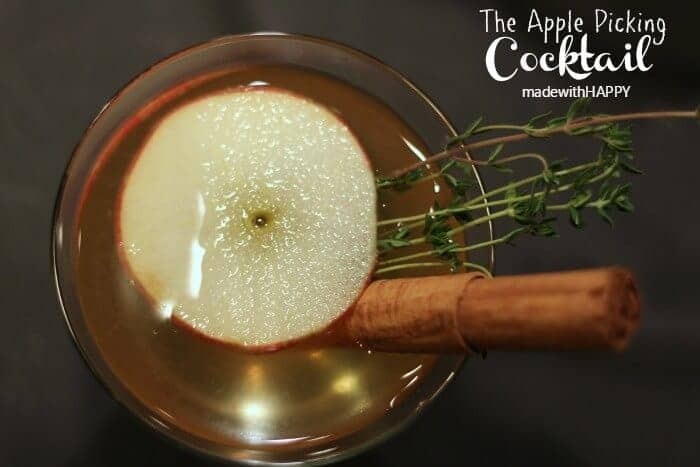 In honor of the Autumn Apple Picking, we’ve created a fun cocktail that whether you’re experiencing the leaves turn, you’ll be brought right back to a day full of apple picking and enjoying this with your feet up at the end of the day. First thing is to make the Sweet’N Low Simple Syrup. Sweet’N Low not only makes this cocktail taste delicious, it makes it guilt free and is diabetic friendly. The conversion of Sweet’N Low to sugar is 1/4 cup sugar = 6 packets. Fill up a cocktail shaker with ice. 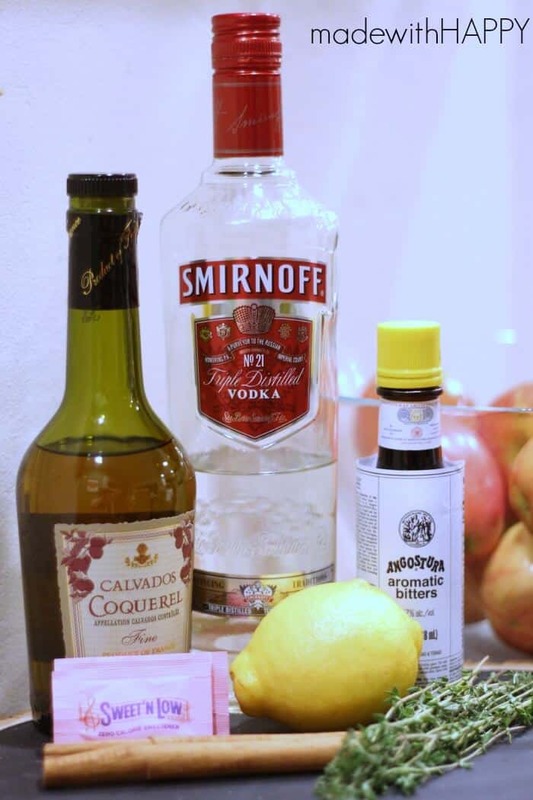 Add the simple syrup, apple cider, apple brandy, vodka (or bourbon depending on your preference), lemon juice and bitters. Shake it up really good and into the cup it goes. The colder the better on this tasty treat, so if you have your glass chilled, even better. 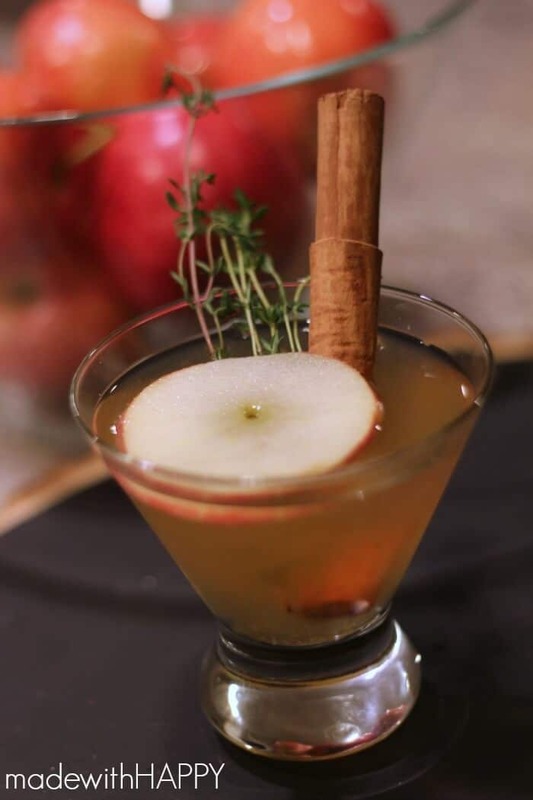 Add a slice of apple, a cinnamon stick and a few sprigs of thyme. Viola, you have yourself the most delicious cocktail. We hope you enjoy your Fall as much as we are now.